Download “Trust the Silences” now from iTunes, MediaNet, Tidal, Amazon, 7Digital, Napster and Google Play. VOX Cape Town’s first album, “Trust the Silences” (2017), blurs the boundaries between classical and contemporary music. 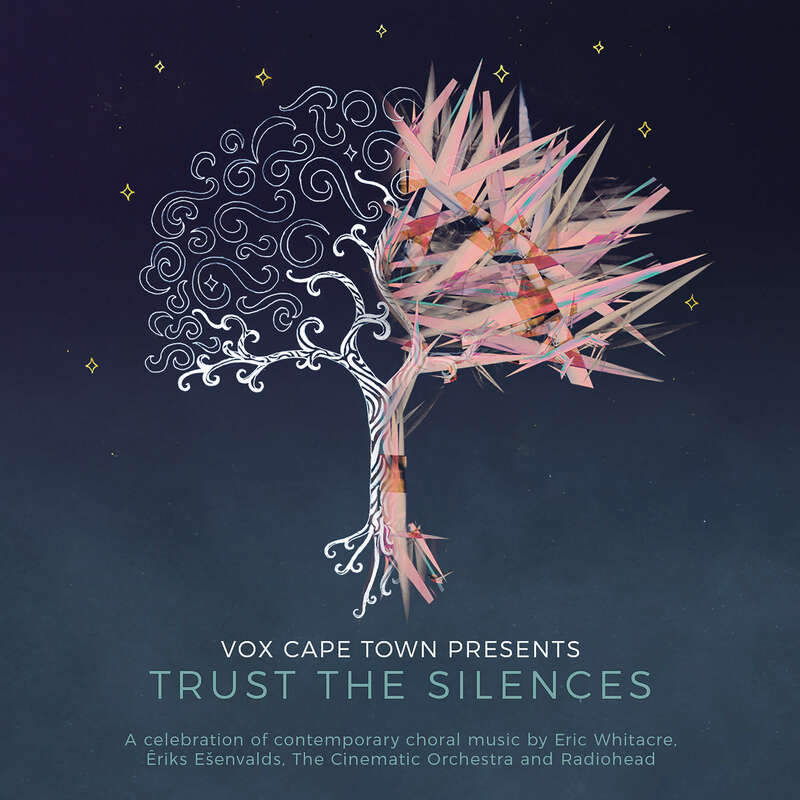 Inspired by two of VOX’s live performances, “Trust the Silences” and “Trust the Silences (Once More)”, this album is a celebration of contemporary choral music by Eric Whitacre, Ēriks Ešenvalds, Radiohead and The Cinematic Orchestra and features local guest artists Richard Brokensha (vocals), Bronwyn van Wieringen (piano), Dylan Tabisher (percussion) and Cherilee Adams (percussion). 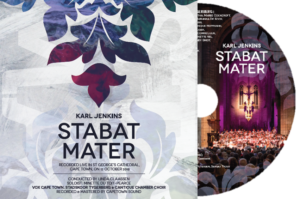 This album forms part of VOX Cape Town’s “New Soundscapes” series; performances and recordings designed to expose audiences to fresh choral sounds in the context of unique, multisensory experiences. The album was launched at ViniChoral at Groot Constantia in August 2017. A limited-edition disc, in a handsome case designed by James Rink with illuminating programme notes by Owen Rogers, is available for R100 directly from VOX Cape Town. The album is also available for digital download from the online stores listed above.